Dr. Robert Jeffress, pastor of the First Baptist Church in Dallas, Texas, was one of the first evangelicals to support Trump's presidency. He still often articulates many of the views evangelicals across the country share in regards to what's going on in our country and this president. When I interviewed Jeffress for my new book, Trump Aftershock, he told me that "Donald Trump may not be our most religious president, but he's the most pro-religion president in recent memory." And Jeffress is right—Trump isn't very religious. It's true that he was raised a Presbyterian and was influenced by Norman Vincent Peale, as I detail in my first political book, God and Donald Trump, but most of his adult life, Trump was anything but a Christian. Yet 10 to 15 years ago, something began to change. He started watching Christian television late at night and began reaching out to some of these ministries, like Paula White-Cain's. I think that at that time, something began to stir in him to think about what he was going to do with the rest of his life. And of course, his election was an absolute miracle. It was an earthquake that nobody saw coming. In fact, that imagery gave me the idea for Trump Aftershock. Throughout the book, I highlight Trump's successes and accomplishments since becoming president—all of which I call the aftershocks to the earthquake of his election. In one of the chapters in my book called "Shaking the Church," I share a LifeWay study that revealed 51 percent of Protestant senior pastors approve of how Trump has handled his job as president and 25 percent strongly approve. Even more interesting is that 86 percent of Pentecostal pastors approve of Trump's performance, followed by 68 of Baptist pastors. The denomination least likely to approve of Trump is Methodism, of which only 25 percent of pastors agree Trump has handled his presidency well. The high approval rate among pastors, especially Pentecostals, should come as no surprise to America. Trump made promises to evangelical Christians during his campaign, and he's kept many of them so far. For example, he's appointed two very conservative judges to the Supreme Court. He's proved himself to be a fierce proponent of religious liberty, to the point of punishing Turkey with sanctions until they released American pastor Andrew Brunson. Trump is also one of the most pro-life presidents we've had, as Dr. James Dobson told me as I interviewed him for the book. Trump has furthermore stood for other issues that aren't necessarily "Christian issues" but are still important to Christians, such as having a healthy economy and a strong military. I think you'll appreciate the way I document these achievements in my new book. I back up my research with 37 pages of end notes so you can see the evidence for yourself. Jeffress offered this comment when he read Trump Aftershock: "I'm glad my friend Stephen Strang has written this book, Trump Aftershock, which sets the record straight on the achievements of the Trump administration and the very real opposition he faces. Stephen is not only an author; he's a journalist who heads up a Christian media company we can trust as a source of news that affects our daily lives. We need more voices like Stephen's who are unafraid to speak the truth. Don't believe the lies of the mainstream media. Get the facts from trusted Christian sources such as Stephen Strang, Charisma News and books such as this. Our president is shaking things up. He needs our support. It's time for all of us to become informed, stand united and call for an end to the witch hunt investigations, fake news and hateful rhetoric of those whose agenda is to bring an end to this president and turn our great nation away from God." I encourage you to visit trumpaftershock.com to read Chapter 10: "America at War With Itself" free or to order the book. 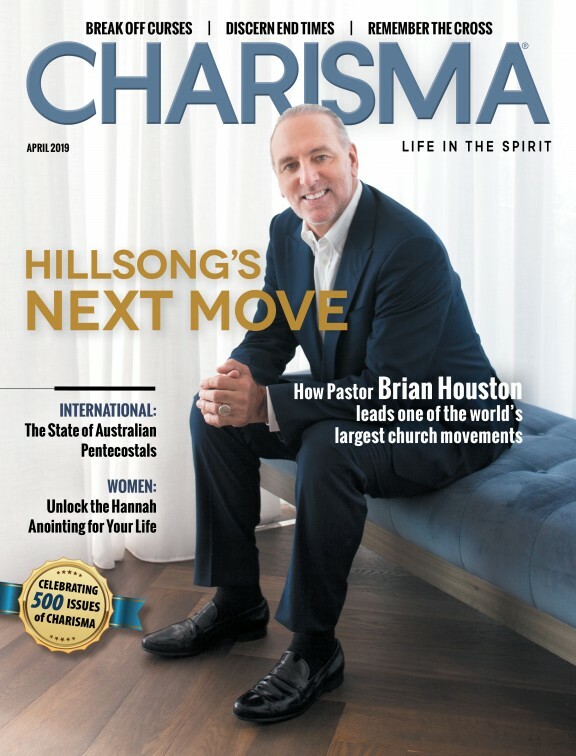 If you order Trump Aftershock before it releases on Election Day, Nov. 6, you'll receive a bundle of free content, including a subscription to Charisma magazine and two e-books. Just visit trumpaftershock.com after you buy your book and fill out the form at the bottom of the home page. As we approach the midterm election, let's stay in an attitude of prayer to combat this spiritual war against biblical values in our government. Share this article to spread the word, and listen to my podcast below to hear more!